After being out of the workforce for a decade to raise my five children, I re-joined the professional world at Astellas as a Professional Sales Representative. Worried that I had been out of the workplace rhythm too long, I was consumed with self-doubt about my professional performance capabilities. I felt guilt that my re-entry into the professional world would take time and attention away from my family. I was confident that I had mastered the mom role, but I was apprehensive about how my skills of running a busy household would translate to a professional job. Even more pervasive, I was unsure if I could handle managing both a career and a family. 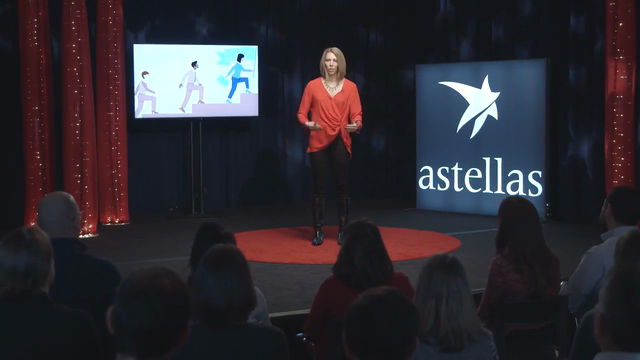 Just a few weeks after beginning my employment with Astellas, I was inundated with the expectations of my position. There were deadlines to meet, new computer applications to navigate, tests to take and sales goals to exceed. As my mind scrambled to take in these new responsibilities, I couldn’t help but think of my family. I questioned my abilities to balance both a career and a family, and I soon began to make excuses for myself about the time it would take to master my new position. During my orientation class, members of the Astellas Leadership team shared personal stories about their career paths. 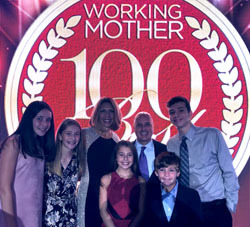 I was particularly drawn to one Senior Executive, who spoke about being a working mother and the personal and professional challenges she faced on her journey to a successful career. She gave a piece of advice that particularly resonated with me - “You don’t have to wait to be successful. You can be successful on day one.” It was so simple, but I immediately felt a shift in my thinking and confidence. I pushed aside the excuses I made for myself out of fear and self-doubt, and began to believe that I was chosen for this role for a reason. Eight months later, I moved my territory rankings from the bottom ten percent in the nation to the number one spot. Far exceeding my professional goals with my quick success, I soon learned that I could be capable of even more. Later in the first year of my employment, I attended Astellas’ Women in Action conference, which brought together Astellas women to network, build leadership skills and empower them to succeed. During the event, I heard statistics that underscored the lack of women in corporate leadership positions. The conference speakers emphasized the need for more women to proactively pursue leadership opportunities and not stay stagnant in pursuing higher positions. After the conference, I felt inspired to take more risks in my career. Since then, I’ve had the chance to participate in various leadership opportunities that have been integral to advancing my professional track, including pioneering a local, Northeast Women In Action initiative to help sustain the learnings from the original conference, being selected as an Area Certified Field Trainer and earning a promotion to Specialty. In fact, I was compelled to enter my story into a company “call for submissions” to hear from employees about how Astellas’ culture has positively impacted me, personally and professionally. I was selected from over 200 submissions to receive professional "TED-style Talk" coaching and presentation training, and my video debuted earlier this year – check it out here. Not only do I feel truly humbled to have been given these opportunities, I’m proud to teach my children through example, that having a successful career and being a good mom doesn’t need to be a tradeoff.